Though our pricing is units-base, we have generated a sort of breakdown to make it very straight-forward. Please have a look at our best pricing to each network of some typical countries (with the volume purchase assumption for 1 million SMS; of course you may simply adjust this volume amount if needed). 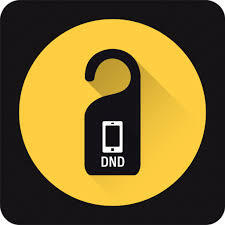 IN CASE you have been trying to send SMS in the past to your Customers or Audience in Nigeria (MTN, Airtel, Glo, 9mobile/etisalat), but some of your messages got rejected because the recipients activated 'Do Not Disturb' (DND), here is a great news! Now you can easily send bulk sms to dnd numbers in Nigeria using the corporate route on Cheap Global SMS. Please Note: that sending SMS via the corporate route requires 2 units each, instead of normal 1 unit on our standard routes. Meanwhile, this route (unlike our standard SMS route) does not yet support the terminal/final delivery report, it will only tell you if the message has been successfully sent or not. Nevertheless, you can be very assured of the delivery if your recipient is actually available. CheapGlobalSMS.com is a proven highly efficient means of bulk-sms communications, both in cost and instant message delivery to any country in the world; fill full/comprehensive delivery report. Now Just take a moment to see briefly, some of the ways in which Cheap Global SMS will help you, in various aspect of your life. 1. Have you heard of love charm? It's real. (Not the one that native doctors does; Who is even talking about them). If you are a developer, Let's blow your mind! Have a look at https://cheapglobalsms.com/sms_widget (Now that's called 'Tailor-made'). Please note that price is not strictly #1.89 per unit (if you are buying greater units, the price per unit reduces accordingly). That said; Now, to some networks (e.g the gsm networks of Nigeria; Mtn, etisalat, airtel and glo) sending one page of sms from cheapglobalsms.com requires 1 unit. Meanwhile, to some countries/networks, it may require more than 1 unit to send a page of Sms. A Product of Tormuto. Watermark theme. Powered by Blogger.